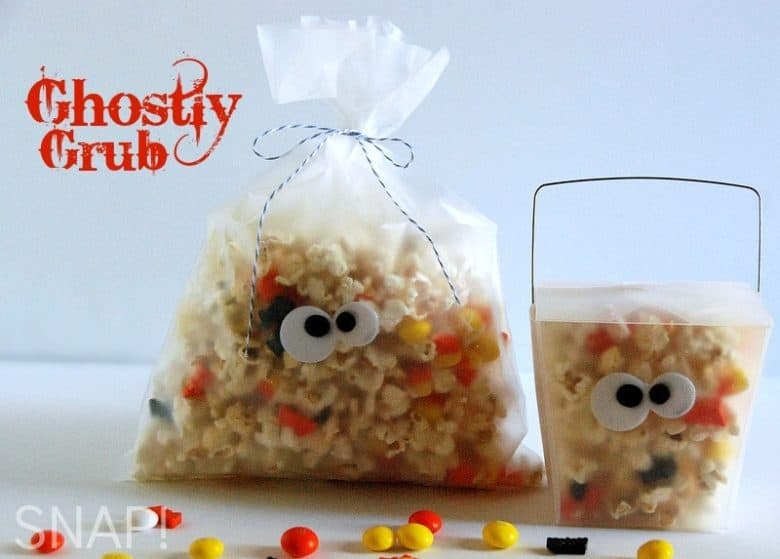 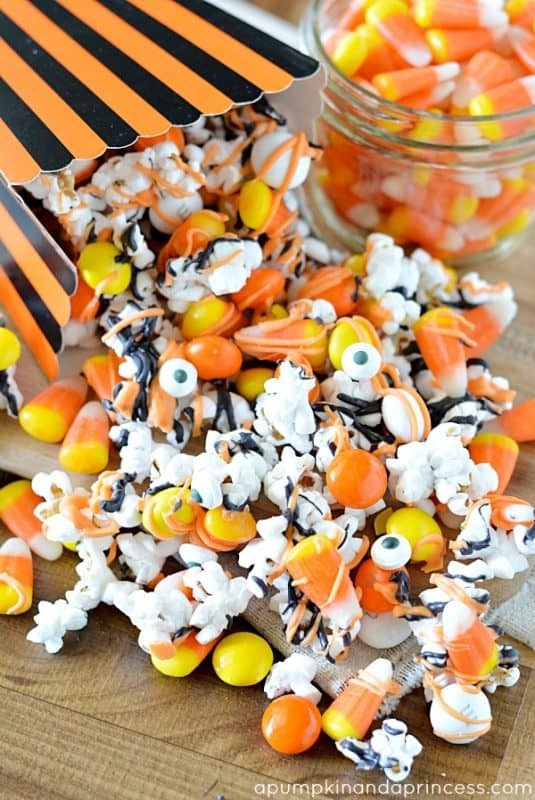 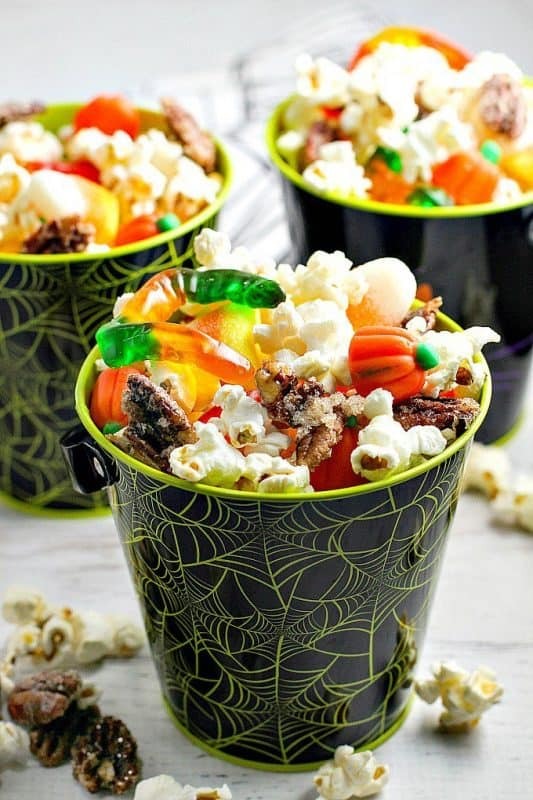 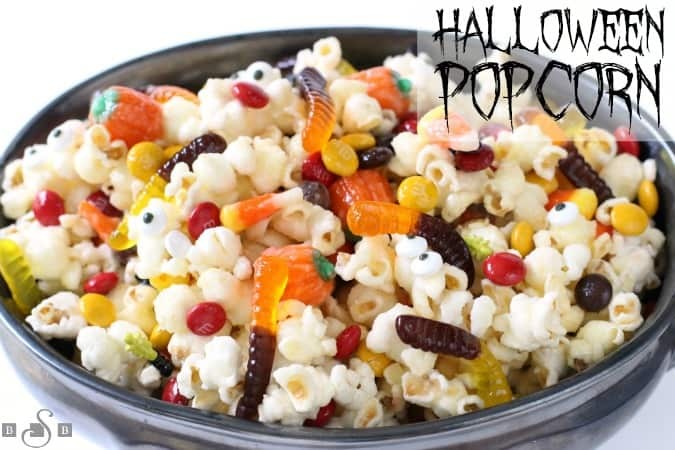 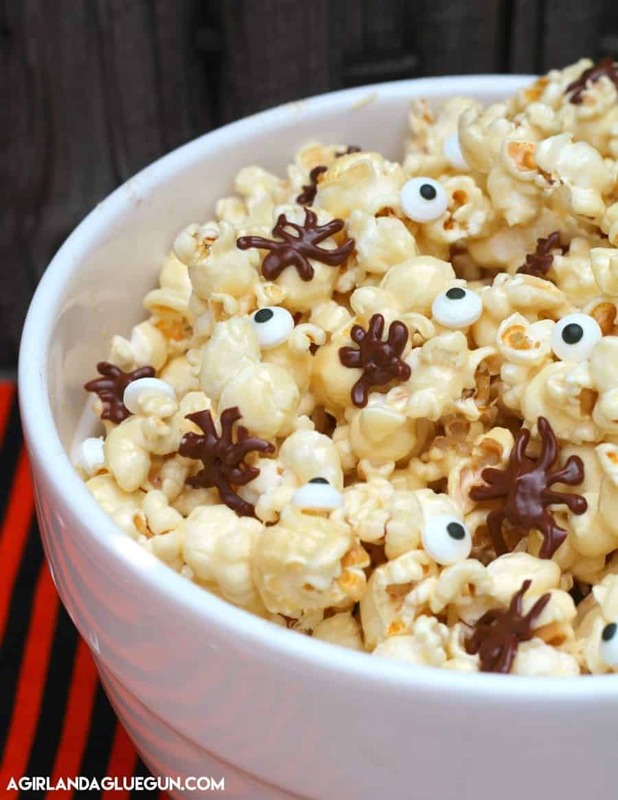 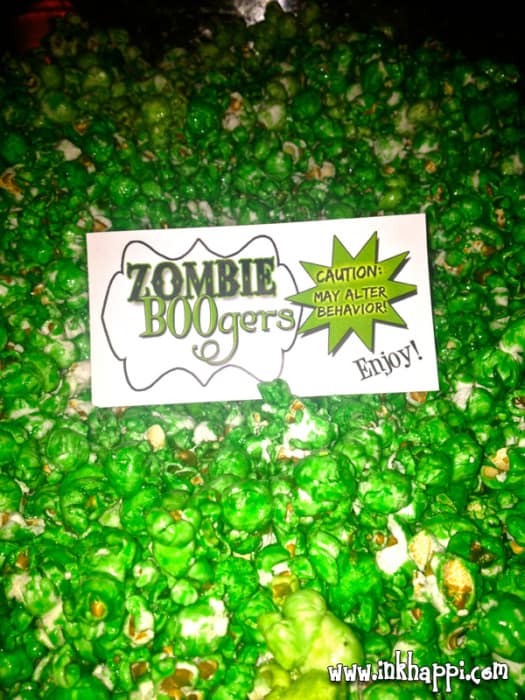 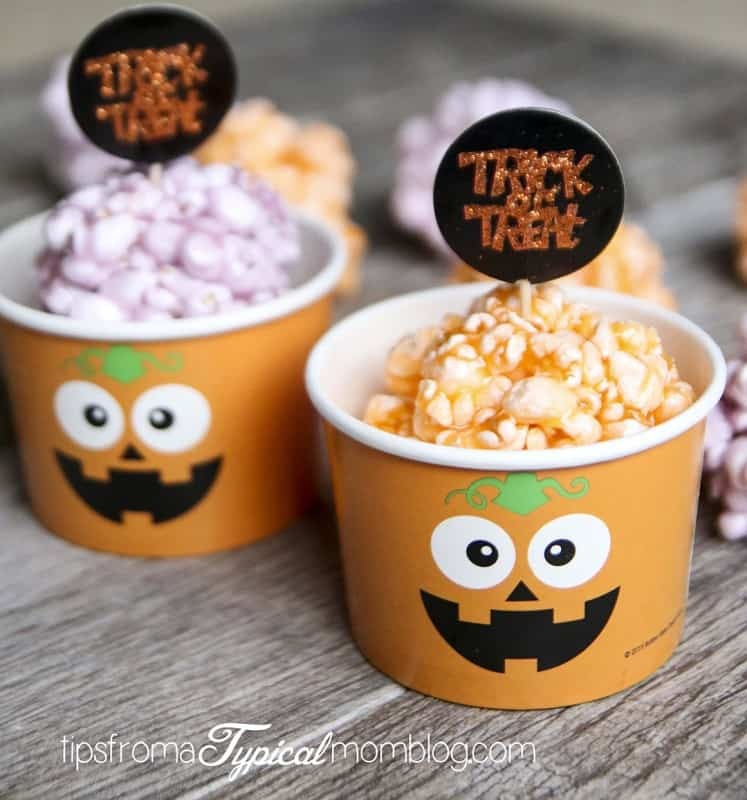 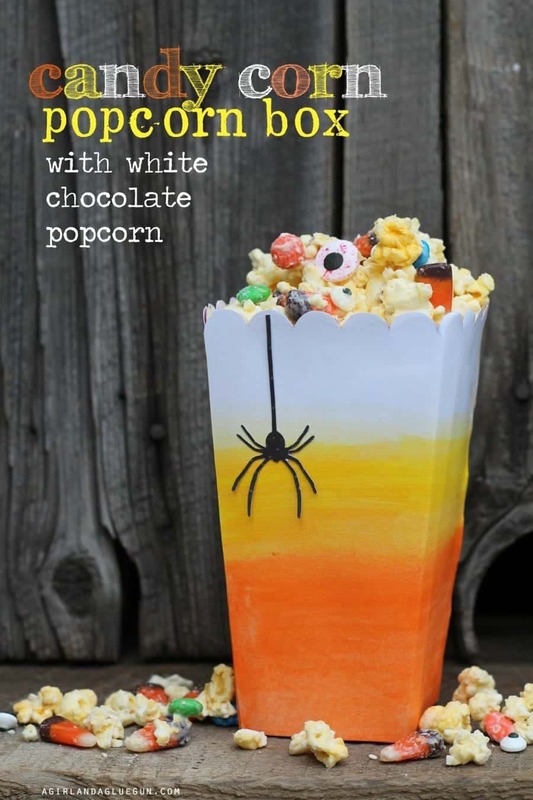 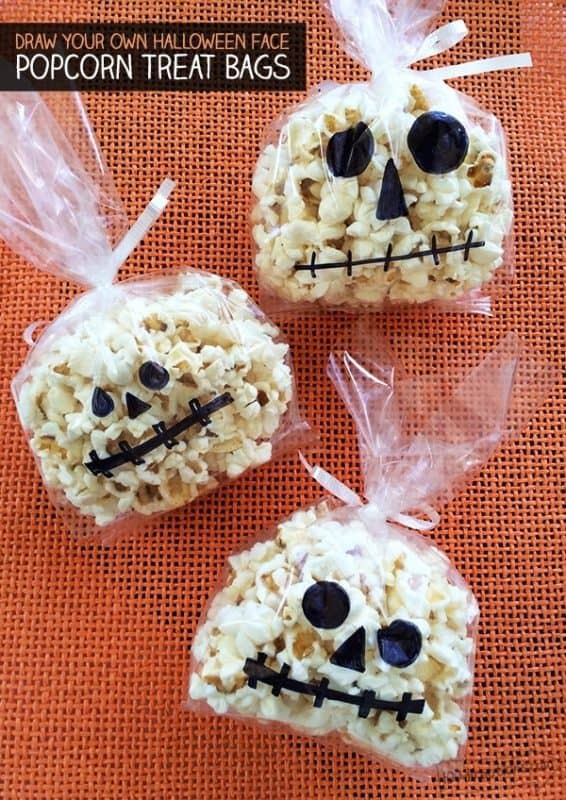 Today I have a fun roundup–All about a quick and easy treat for Halloween–Halloween popcorn! 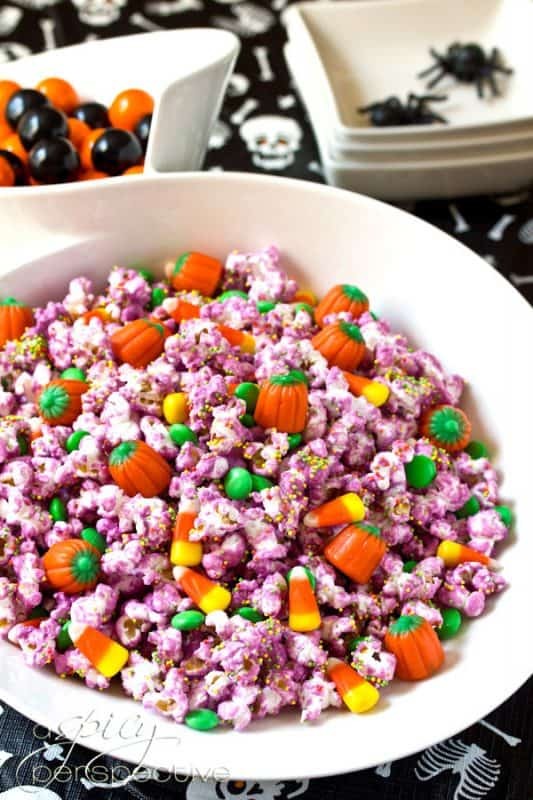 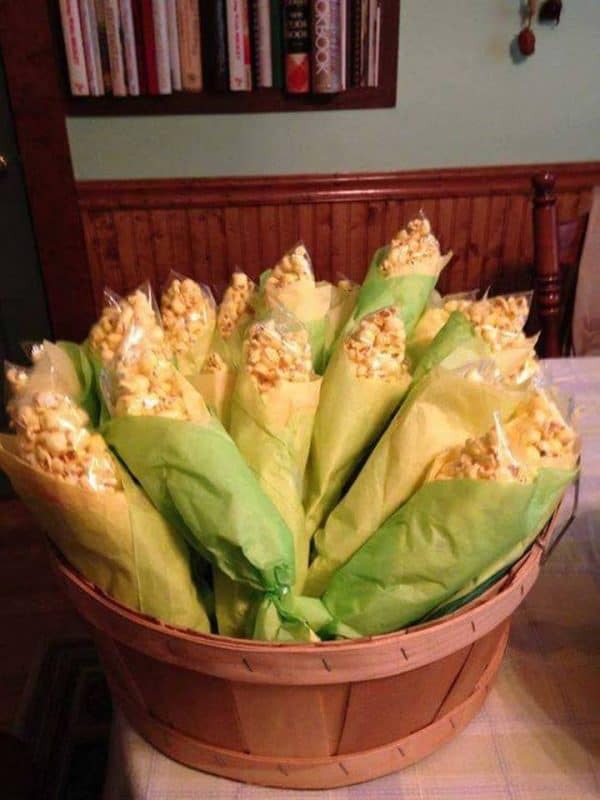 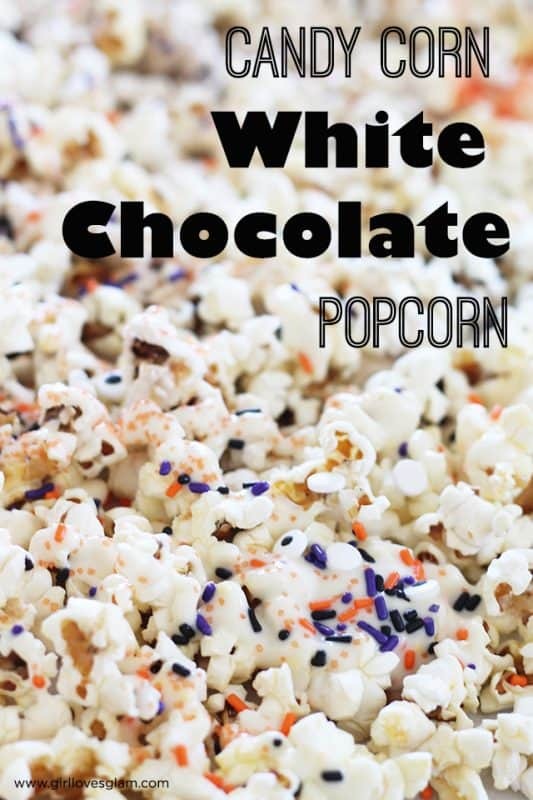 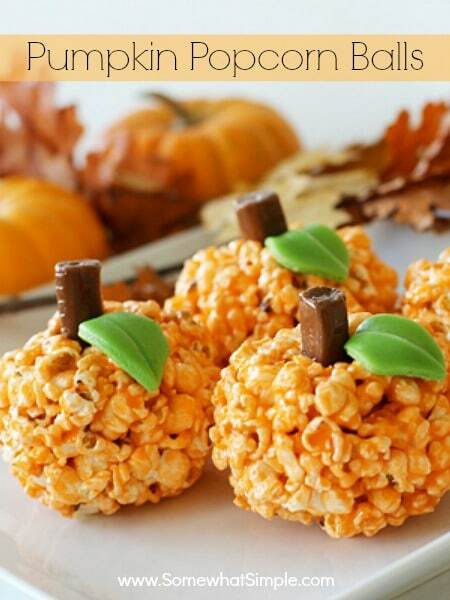 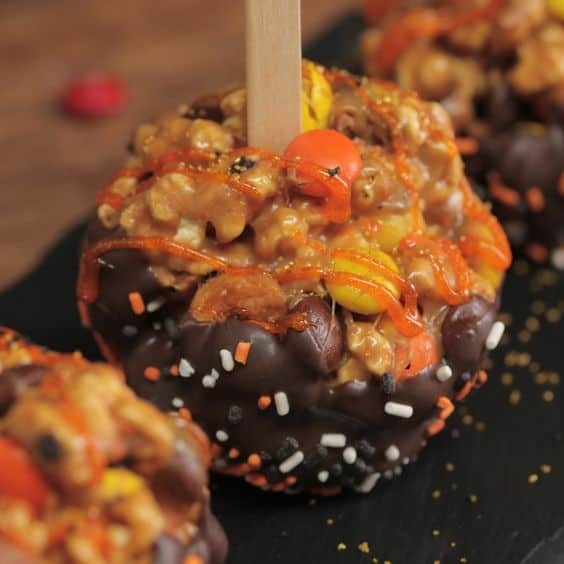 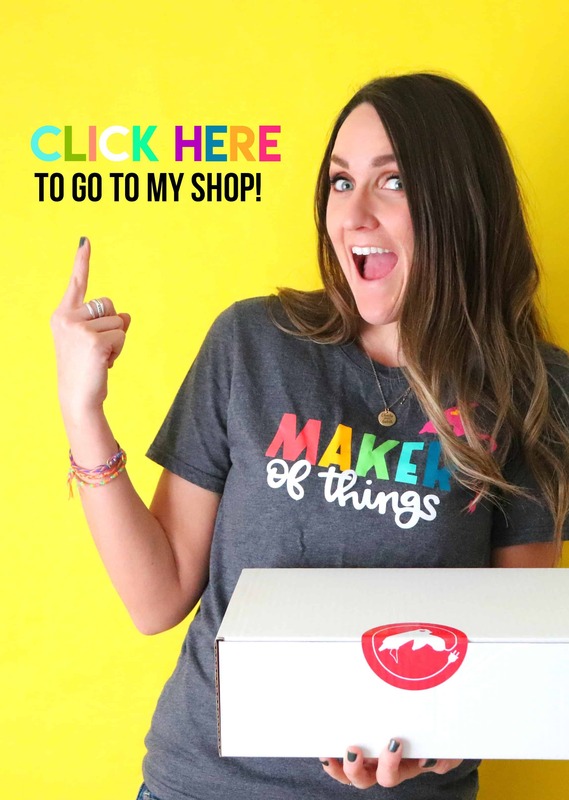 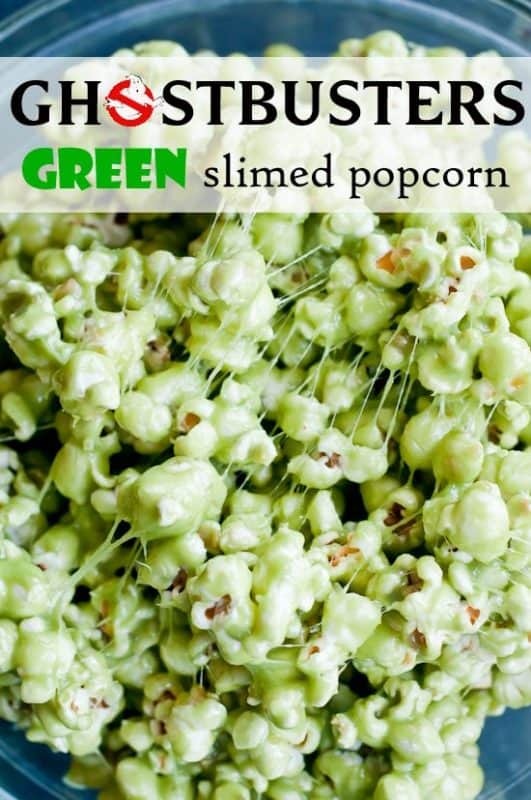 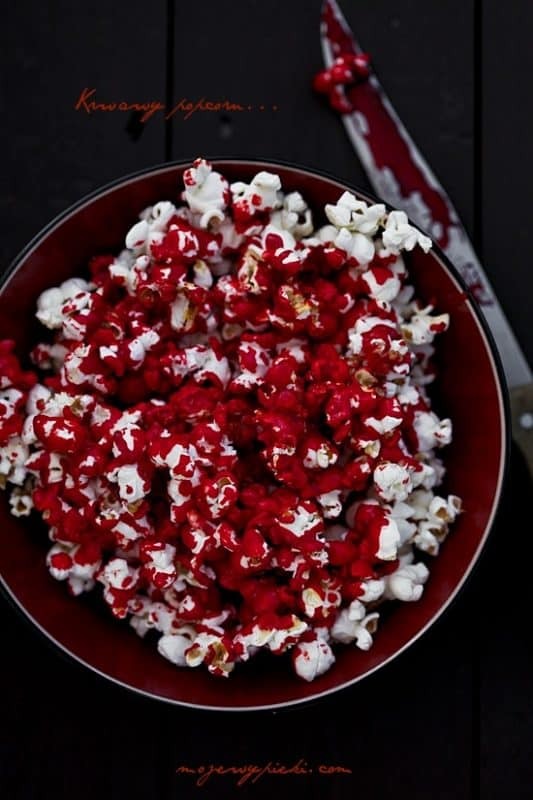 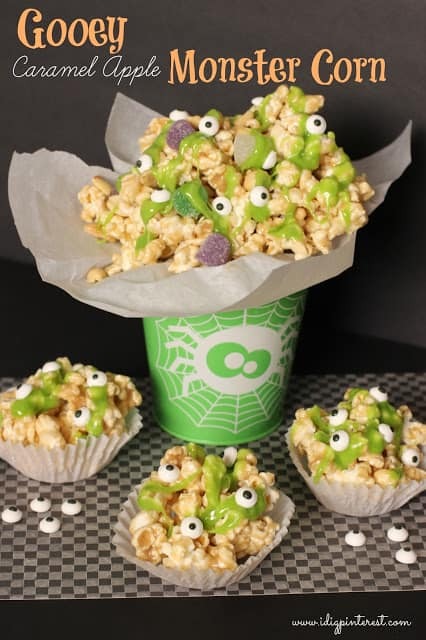 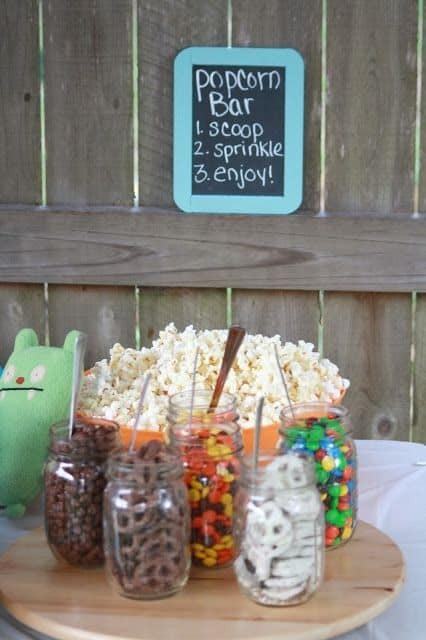 What I love about this is that you can can take any fun caramel popcorn recipe…add food coloring or fun treats and have such a different take! 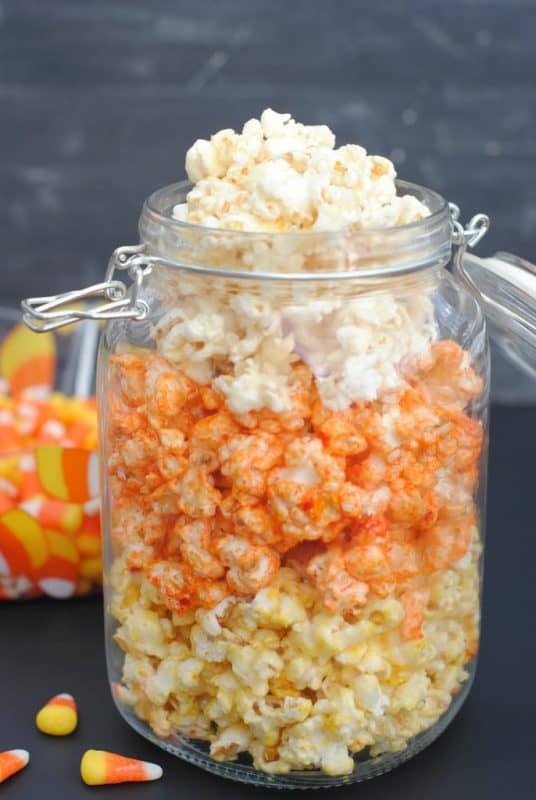 I have an especially yummy baked caramel popcorn recipe. 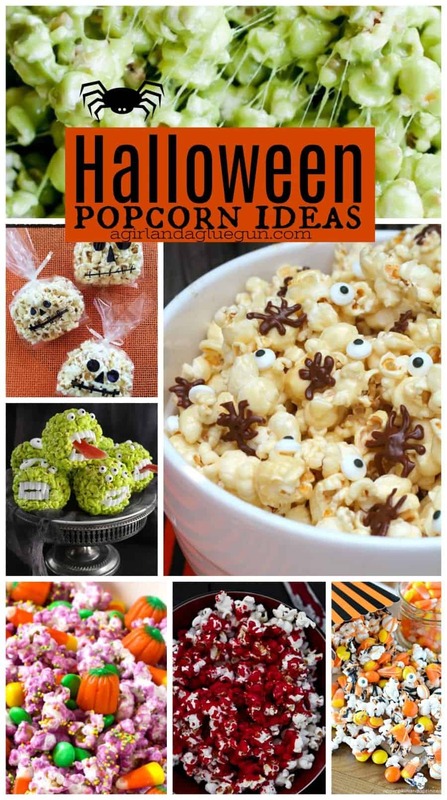 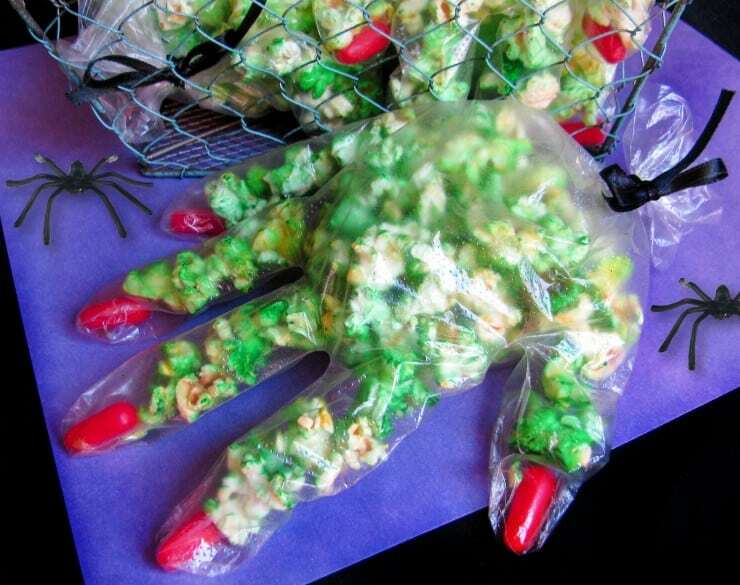 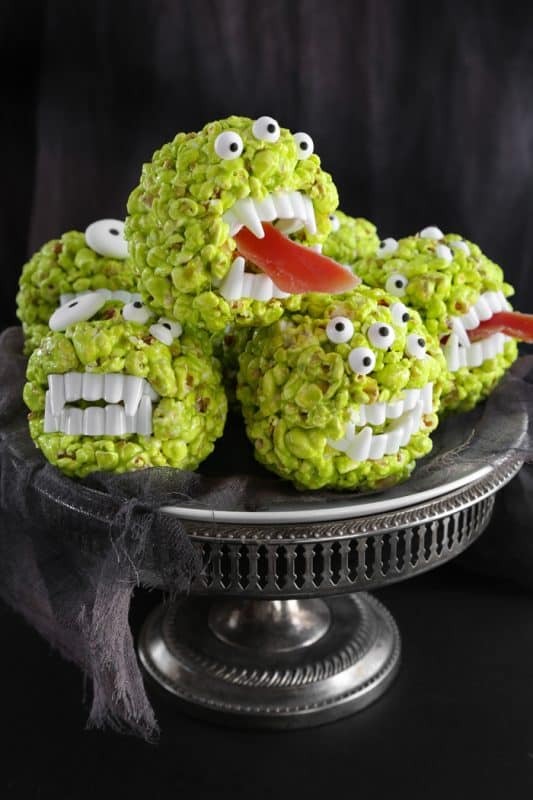 So here are some fun and easy ideas to wow at any Halloween party!